EAS formed back in 2014. 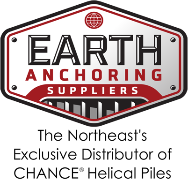 As a long term installer of CHANCE® products, we searched in vain for the support and resources we needed to keep up with the market, so I put together EAS to service installers the way I wanted to be served. After selling my installation company, I focused exclusively on this new endeavor to provide exceptional service, at a great price, when and where it’s needed most. Our team is excited to share our experiences and knowledge now on Helical Pile World.